Mariuca's Perfume Gallery: More Awards For My Gallery! More Awards For My Gallery! Allow me to express my appreciation for two female bloggers, who each has something to shout about with their wonderful blogs! First, I'd like to give some love to Jackie for bestowing such a great honour to Mariuca's Perfume Gallery with this fabulous Silver Recommended Read award. 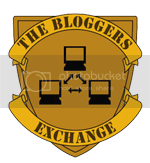 According to Jackie, this award is given to bloggers "whose blogs are contributory to continuously raising us within the Blog World onto the next level of blogging enthusiasm, excitement, and enjoyment". Frankly, I've been waiting for someone to give me this award so I was really thrilled to be selected by Jackie and Zubli as one of their reading pleasures. Thanks so much guys, I love this award!! For the complete list of rules to this award, please visit Jackie's blog. And for this very special award, I'd like to pass it on to Adrian and NAFA. Congratulations! Your posts are definitely worth reading so keep on churning those wonderful articles and stories to keep me informed and entertained! Next, I'd like to thank my dear friend Diamonds Saphire for acknowledging my Perfume Gallery. Although it takes second place to my Mariuca blog, I love it just as much. So for Diamonds to give the Blogging Star award to Mariuca's Perfume Gallery, it means a whole to me. Thanks for remembering me and my perfumes, you're the best! Congratulations to all my recipients. May the awards inspire you and me to greater heights of success! Marzie, you are THE BEST!!!!!!!!!!!! Aww...an award from Genie Princess again! Waah! you are so kind and generous and I receive it with gratitude and thanks! Three Cheers for Marzie! Marzie, I got another again from you. I could not believe it. This is my second RR! I got one just last week from Zubli and Jackie too! I felt so refreshing here. Its a brand new day. Have a good week ahead !! But, I never seem to have the right words that express my true feelings to say that ... you've done SO MUCH for me, but in return I've done very little for you, and yet you never fail to include me all the time. Congrats Marzie! You truly deserve more Awards and I'm certain there's more to come, coz your talents are endless. hi bobby! wgm got awards!